The International Research Institute for Climate and Society (IRI), in close collaboration with the Centre for Climate Risk and Opportunity Management in South East Asia and Pacific (CCROM SEAP), is leading a data quality training for Lao PDR’s Department of Meteorology and Hydrology (DMH) and the National Agriculture and Forestry Research Institute (NAFRI), with funding from the International Fund for Agricultural Development (IFAD). The data quality training started on November 4 – 8, 2013 at DMH’s office in Vientiane, Lao PDR. 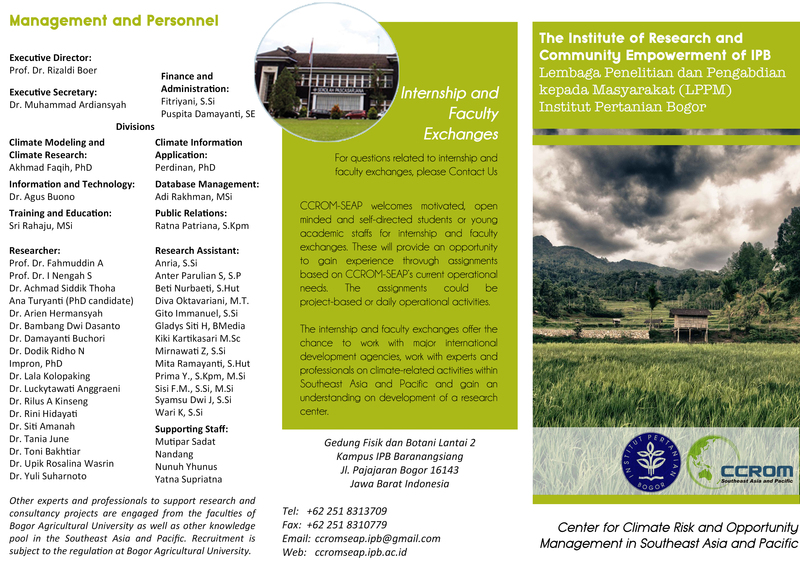 Climate scientist from CCROM SEAP, Dr. Akhmad Faqih and Dr. Perdinan were present and conducted the training for 14 participants. Dr. Akhmad Faqih from CCROM-SEAP IPB presented information on the needs for climate data quality and homogenization analysis. An introduction to the simple analysis of data quality (i.e., break points) was also provided. Starting from the second to the fourth day of the training (following the training agenda), the format was more on the hands-on training in which participants were guided to use the analysis tools/software provided in the training to analyze sample data and a Lao climate station (Vientiane climate station). 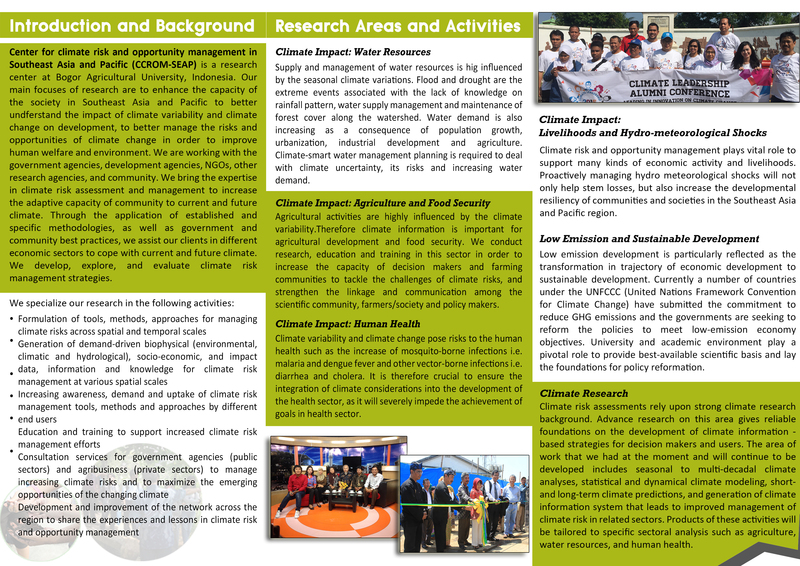 Dr. Akhmad Faqih and Dr. Perdinan, provided a climate data analysis tool for change detection developed using Matlab by Dr. Faqih and climate data analysis tools that are already available on the internet, RClimdexV1 and RHtestV3 (R-application). The guidelines for using the tools were supplied to the participants in the form of power point presentation by Dr. Faqih and Dr. Perdinan. Specifically for the R-application software, the website link was also provided so that participants can access the original source. The training was part of the two-year climate change/climate variability initiative, led by the IRI with funding from IFAD to help farmers in Indonesia, Lao PDR, and Bangladesh reduce their vulnerability to climate risks. The training targets climate scientists from DMH and agricultural research scientists from NAFRI and focusing on developing a quality-controlled dataset to support climate analysis and the issuing of quality climate forecasts.